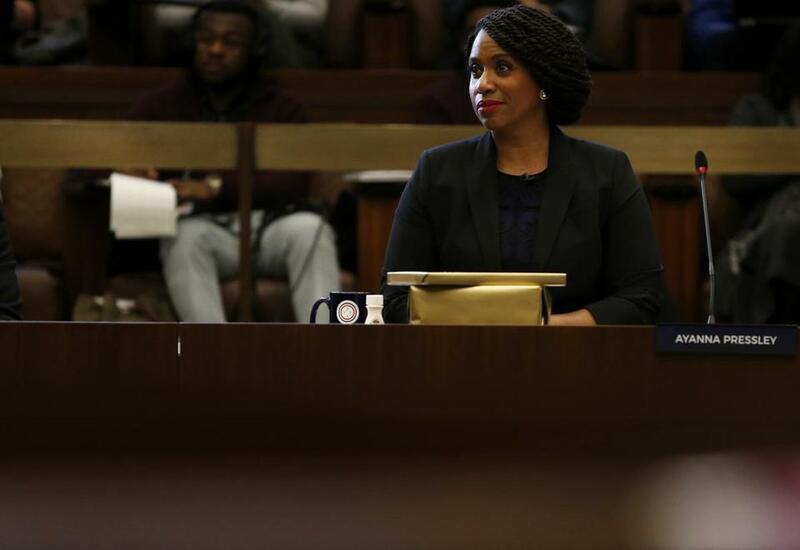 Plenty of candidates are lining up for next year’s election to fill the seat currently held by Ayanna Pressley (above). City Councilor Ayanna Pressley hasn’t cleaned out her office yet, and the next City Council election is nearly a year away. But already political hopefuls are lining up to seek one of the council’s coveted four at-large seats — setting up what could be the most competitive race for those posts in years. Perennial candidate Althea Garrison, 77, placed fifth in the last municipal election, and by city rules she will be able to join the council in January, once Pressley officially departs to take her new seat in Congress. Garrison, who has run for various state and city offices at least a dozen times, can hold the seat until the next election. But in November 2019, the top four vote-getters will win one of the city’s at-large seats — a job that comes with a salary of about $100,000. And candidates are already seizing the opportunity. On Wednesday – the day Pressley said goodbye to her fellow councilors – Mission Hill native Alejandra St. Guillen announced in a letter to supporters that she is running for one of the at-large seats. St. Guillen was until recently the director of the city’s Office of Immigrant Advancement, formerly known as the Office of New Bostonians. Jeff Ross, a longtime community activist and attorney from the South End, who ran for an at-large seat in 2013, has previously told the Globe he is running. He could not be reached for comment Thursday. In the 2017 city elections, Garrison only claimed 7 percent of the vote, a distant fifth to the incumbents Pressley (22 percent), Michelle Wu (24 percent), Michael L. Flaherty (19 percent), and Anissa Essaibi-George (17 percent). The sixth place finisher was Domingos DaRosa, who had 4.38 percent of the vote. It remains unknown how many candidates will seek one of the four at-large seats in 2019, or whether the other incumbents will seek re-election. Technically, the dates of the fall election haven’t been scheduled yet. And, nomination forms for candidates will not even be available until April 2019. In any case, it seems Garrison will have to work to hold on to her new seat.